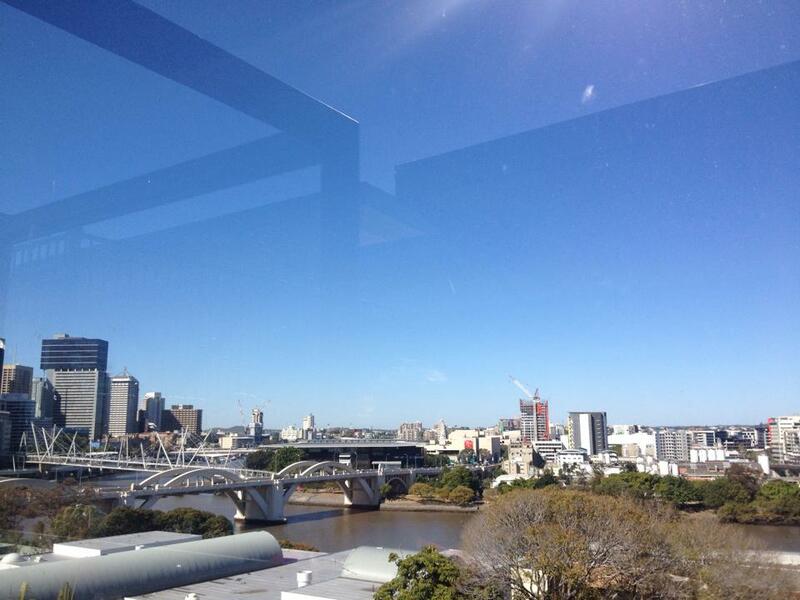 Arriving in Brisbane – Hostels, Exploring and Housing! By Kate Bowmar (The University of Queensland, Brisbane, Australia). So a week ago today, I was boarding my first solo flight from Heathrow to Brisbane, Australia. Therefore, in my first blog post I’m going to talk about my experiences and what I have been doing over this last week! Leading up to my departure I tried to keep myself very busy – I was lucky enough to be at Wireless festival the weekend before leaving for Australia, which was the perfect way to finish my time in England (until Christmas) and say a tearful goodbye to all my friends and family. My main worry about my time in Australia is being homesick and missing my family too much, which I’m sure everyone can relate to. I was expecting a grueling 24-hour flight from London to Brisbane – and it actually wasn’t that bad! This was mainly due to the fact that on my longest flight (from London to Kuala Lumpar) the plane was VERY empty and I had a whole row to myself. The in-flight entertainment system managed to keep me mildly entertained, and most of the time I ended up sleeping. Upon arrival at the airport I was greeted by The University of Queensland’s free airport pick-up service, which included a very welcoming bus driver and a coachload of students, in which I managed to meet some other British girls studying at another university in Brisbane. The coach service dropped me off at the hostel where I met a fellow Biology student at UoM. The hostel was just outside of the city and therefore the perfect location to be in the first few days off my time in Australia. A view of Brisbane from the rooftop of my hostel. The first few days in Brisbane consisted of sorting out an Australian bank account, an Australian phone card and trying to find a house! However, I have managed to have a good explore around the city including the main attraction – South Bank Beach. 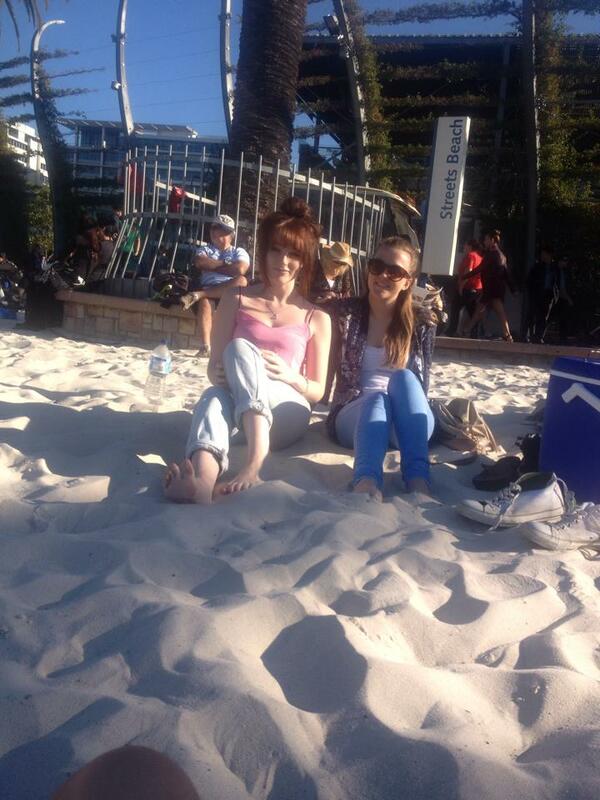 Emma (UoM student) and I at South Bank Beach! South Bank Beach is the city of Brisbane’s main tourist attraction. It is literally a beach right in the middle of the city, complete with lifeguards and BBQ’s! After the first few days of exploring and letting jet lag pass, I started to think about how I would go about trying to find a house for the remainder of my time in Brisbane. After one week of being in Australia I am finally writing this blog from the comfort of my new room in my amazing house, however, it wasn’t as easy as I thought it would be to get here. I knew before I came to Brisbane that I wanted to live in a large student houseshare, but compared to Manchester these kind of houses are rare. Most Australian students tend to stay at home for the duration of university and a lot of international students tend to live in small houses of 5 people or less, so initially things weren’t looking too great. Myself and a few other girls spent a few days going to estate agents and viewing houses (some of which weren’t great) and finally found a modern 7 bedroom shared house in a perfect location. My new home is just 5 minutes walk away from a massive shopping center, 10 minutes on the bus to uni, and 10 minutes on the bus to the city. Its safe to say that I am thrilled with my new house and I’m extremely excited to meet all my new neighbours! In the next few weeks I will be visiting Lone Pine Koala Sanctuary (to cuddle a koala! ), starting university orientation and lectures and generally settling into life in Australia.